The competitive program awarded 21 fellowships nationwide this year representing universities from New York to Hawaii. Falcón is one of only two professors in the UC system to win one. 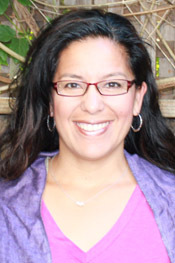 Falcón, who joined the UCSC faculty in 2010, plans to use the time to finish revisions to her book Expanding Racisms: Transnational Feminisms, Intersectionality Politics, and Human Rights in the Américas about the role of women in United Nations forums on racism. Falcón said she also plans to write an article based on her extensive archival research about the 1945 U.N. Conference on International Organization, which led to the founding of the U.N. In her research, Falcón found that only four of 800 signatories for the U.N. Charter were women; three of those came from the Americas region – the United States, Brazil, and the Dominican Republic; the fourth delegate was from China. She said found the Latin American delegates from the 1945 conference "embraced a more explicit and unapologetic feminist politics than the delegate from the U.S., who appears to have been deliberately selected by the U.S. government because she largely distanced herself from any feminist movement." Yet at the same time, Falcón said, the Latin American delegates did not denounce overt racism of the time. A third project for the year ahead will look at the building of a “human rights culture” in Peru by focusing on Andean domestic workers seeking knowledge about labor rights, Afro-Peruvians organizing against racial/gender inequalities, and activists/artists seeking to instigate a public conversation about human rights based on the findings from the 2003 Peruvian Truth and Reconciliation Commission. The Career Enhancement Fellowship, funded by the Andrew W. Mellon Foundation and administered by the Woodrow Wilson National Fellowship Foundation, creates career development opportunities for selected faculty fellows to aid in attaining tenure. The program provides each fellow with a six-month or one-year sabbatical stipend up to $30,000; a research, travel or publication stipend up to $1,500; mentoring; and participation in a fall retreat. The retreat, an integral part of the program, provides opportunities for fellows to meet at length with their mentors—senior academics who help advise the early-career faculty on next steps in professional development. Fellows also have the opportunity to connect with Career Enhancement Fellows from past years and other guest scholars.